Mega Sale! 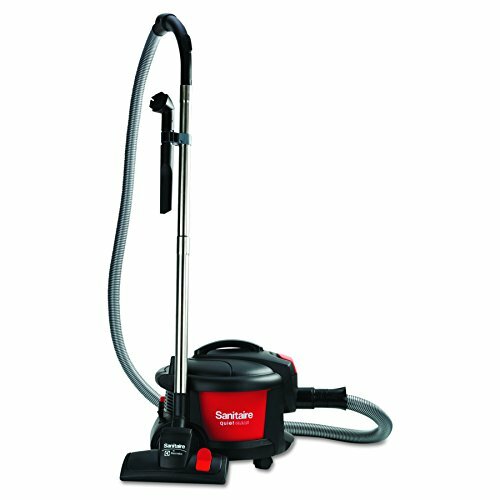 Save 25% on the Electrolux Sanitaire SC3700A Quiet Clean Canister Vacuum, 9.0 Amp, 11'' Cleaning Path, Red/Black by Sanitaire at Natural Green Cleaners. MPN: SC3700A. Hurry! Limited time offer. Offer valid only while supplies last. Choose Quiet Clean when you need to vacuum carpets, bare floors or do any type of above-floor cleaning without making loud, disturbing noise. Choose Quiet Clean when you need to vacuum carpets, bare floors or do any type of above-floor cleaning without making loud, disturbing noise. Powerful 9.0-amp motor stands up to commercial use in hospitals, hotels and office buildings. Runs at 68 dB for quiet operation. High allergen filtration traps particles down to 0.3 microns; optional HEPA filter bag available. Includes deluxe five-piece attachment set for carpet, bare floor and above-floor cleaning.